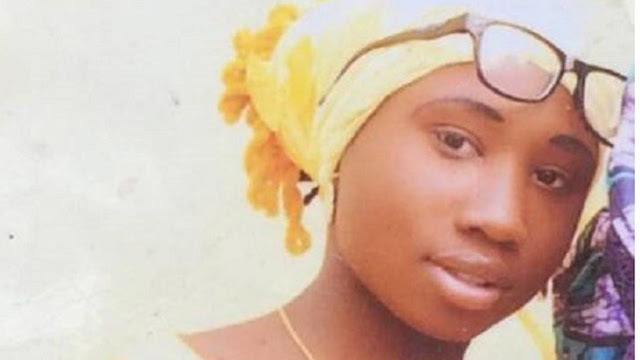 Following the continued captivity of Leah Sharibu, one of the abducted110 Dapchi school girls by Boko Haram in Yobe State who yet to be released after colleagues have been freed, her mother, Rebecca Sharibu, has filed a suit of N500 million along two other joining plaintiffs against the Inspector General of Police and the Attorney General of the Federation over their failure to ensure the release of her daughter and for failure in their statutory duties as well. The other plaintiffs in the suit are Mr Daniel David Kadzai and Lift-Up-Now Incorporation, a Non Governmental Organization in the United States of America, and the suit is dated September 19, 2018 with no FCH/L/cs/1528/18. The suit in which the plaintiffs sought the N500 million as a compensation for the indignities and human deprivations suffered by Leah since her abduction in February 2018 was filed at the Federal High Court of Nigeria Lagos and a copy was made available to newsmen yesterday in Jos, the Plateau State capital. Parts of the prayers sought by the plaintiffs in the suit is an order of the Honourable court to direct and mandate the defendants to secure the immediate and unconditional release of Leah from the custody of her captors, as well as an order compelling the the defendants to employ every means in securing her release. The Plaintiffs also sought: "An order compelling the defendants to pay the plaintiff the sum of N500 million being compensation for the indignities and human deprivations suffered by the plaintiff as a result of the defendants' dereliction of statutory duties in securing her release from her captors since the month of February, 2018 till date of this action." Again, the suit pointed out that the defendant may appear by entering appearance personally or by a legal practitioner either by filing the appropriate processes in response at the registry of the court, where the summons was issued, or by sending them to that office by any methods allowed by these rules. It added that if the defendant does not respond within the stipulated time and at the appropriate place, order will be made and proceedings may be taken as the Judge may think just and expedient. Meanwhile, in an affidavit supporting the application, the 3rd Plaintiff and Executive Director of the Lift-Up-Now Incorporation, Dr Adeniyi Ojutiku, solemnly swears that he has been informed by their lead counsel, Tayo Doughlas Esq, that it is necessary in the circumstance to seek and obtain leave of the Honourable court to issue the originating summons on the defendants. "I Dr. Adeniyi Ojutiku, a Nigerian citizen of No. 1316 Shining Water Lane Raleigh, NC 27614, United States of America, do nearby solemly swear and make oath as follows: That I am an executive Director of the Lift-Up-Now Incorporation, herein plaintiff's 3rd next friend and I am by virtue of this position conversant with the facts herein deposed. That I have the full authority of the 1st, 2nd and 3rd plaintiff's next friends to make this deposition, and the plaintiff's claim against the defendants is clearly stated in the originating summons filled herein," the affidavit partly read.